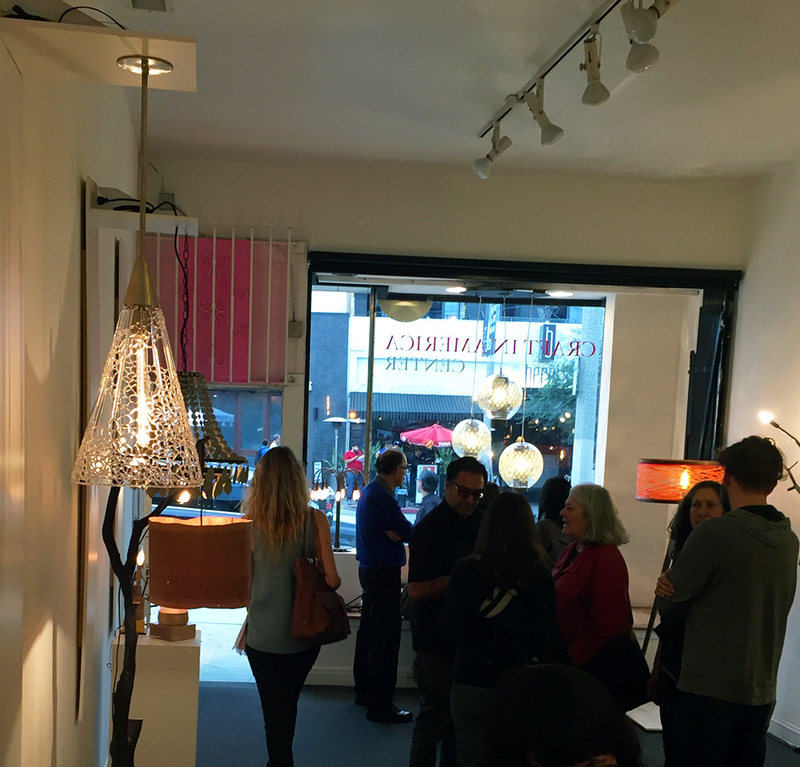 We had a great turnout at the Opening Reception for The Spotlight: Functional Lighting as Illuminated Sculpture Exhibition, a partnership exhibition with The Furniture Society. 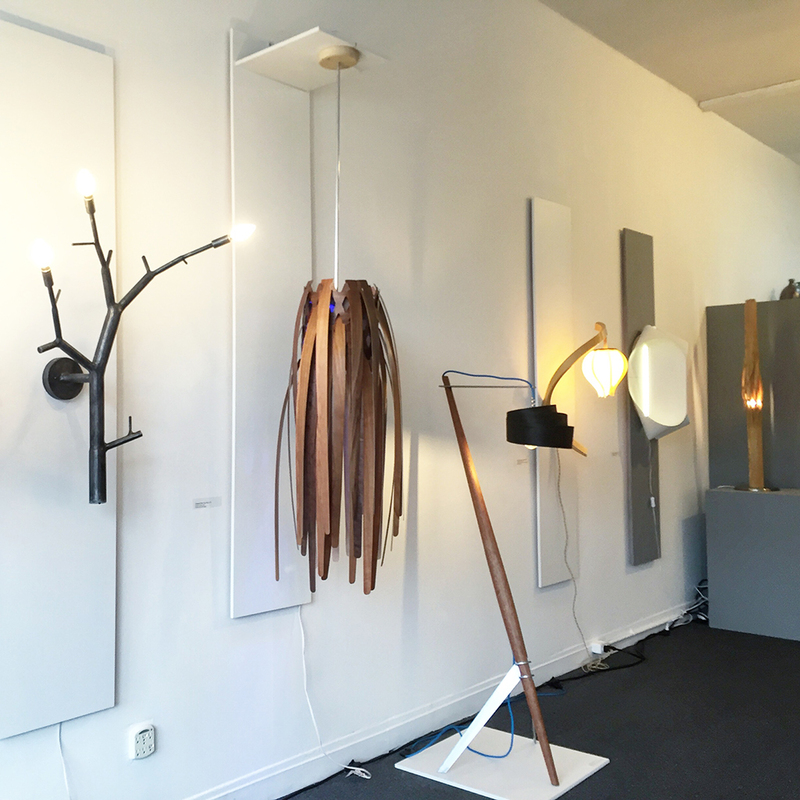 The exhibition will run through August 20th and it features exceptionally-crafted lights from individual designer-makers across the country in a wide range of materials, styles and forms. 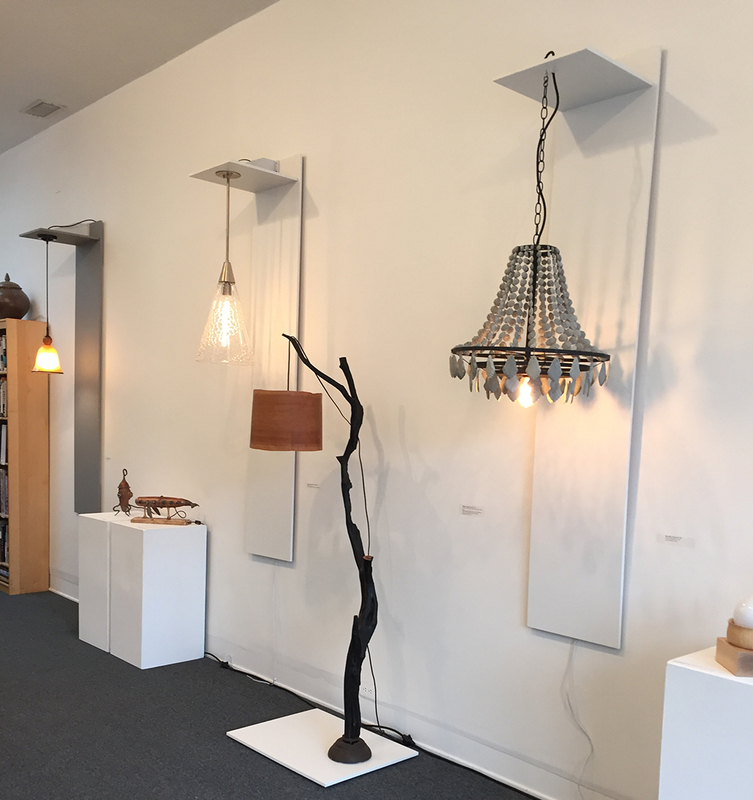 This show offers a chance to step back and look at the design of lighting as a sculptural art form. The pieces on view make it clear that the creativity and artistry is alive and thriving. The participating artists include: Gary Knox Bennett, Evan Chambers, Byron Conn, Timothy J. Ferrie, Mia Hall, Nathaniel Hall, Brett A. MacLearnsberry, Po Shun Leong, John Conver Lutz, Julie Moringello, Neptune Glass, Marcus Papay, Kenny Pieper, Isabella Pierson, Christopher Poehlmann, Clark Renfort, William Stranger, and Hongtao Zhou. We were glad to talk with guests who attended including artists who were part of the show. The exhibition will run from June 11, 2016 – August 20, 2016.